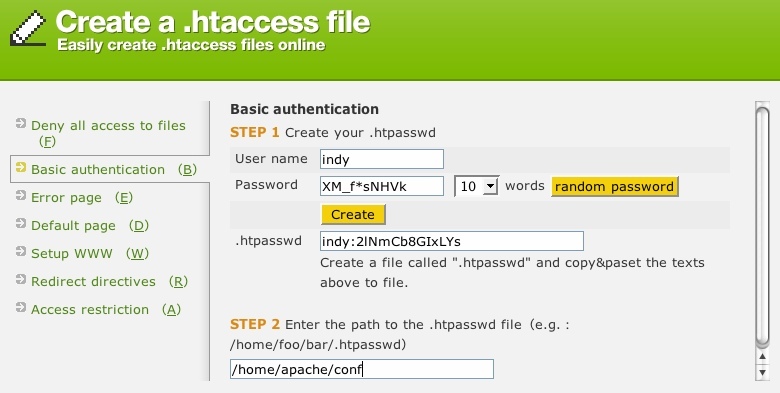 Creating/modifiy the Apache webserver .htaccess files by hand can be a bit of a pain at times. Today I came across a website that lets one generate an .htaccess file using a nice, Ajax-y web interface. And this gives you contents that you need to copy across into your .htaccess file. Next Next post: Finally, Skype on my iPhone!